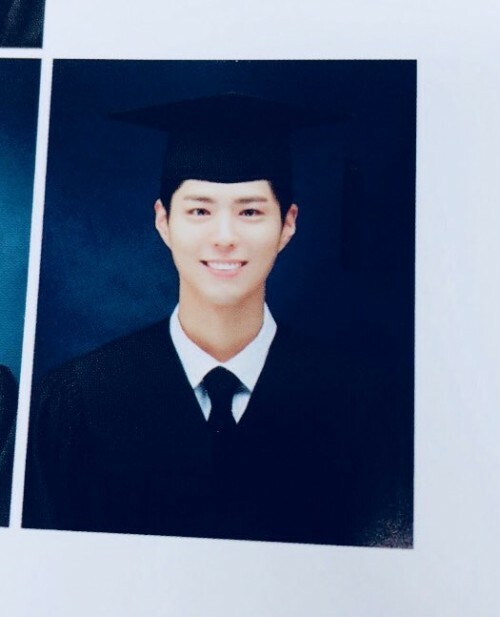 Actor Park Bo-gum's graduation photo has been revealed. On February 21, the picture has been posted on various online community boards and social media. In the picture, Park Bo-gum is smiling brightly in his graduation cap. His handsome features are garnering viewers' attention. Meanwhile, the actor attended his graduation at Myongji University in Yongin on the same day. He entered Myongji University in 2014 as a musical theater major. He is known to have attended school diligently and is graduating after four years without taking off time.